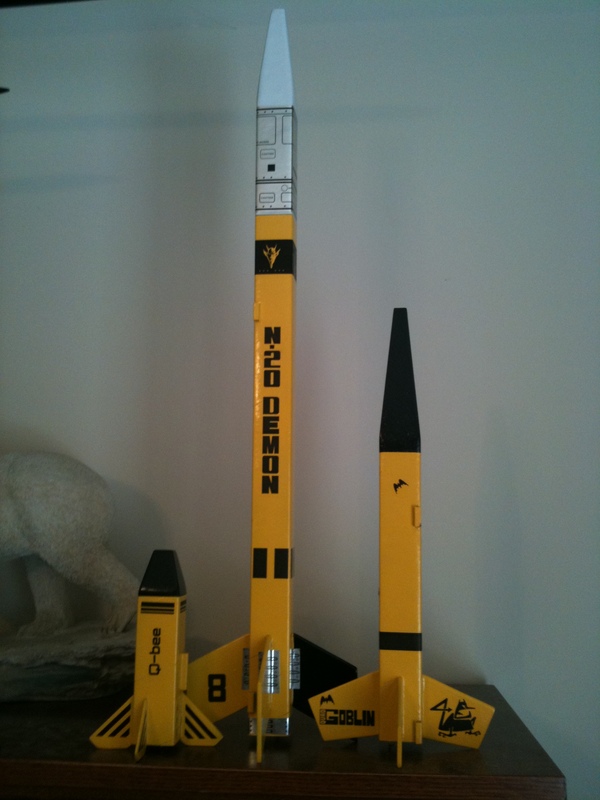 A few months later, Lee sent us the above photo of his modified SquareOne... nice missile, Lee! 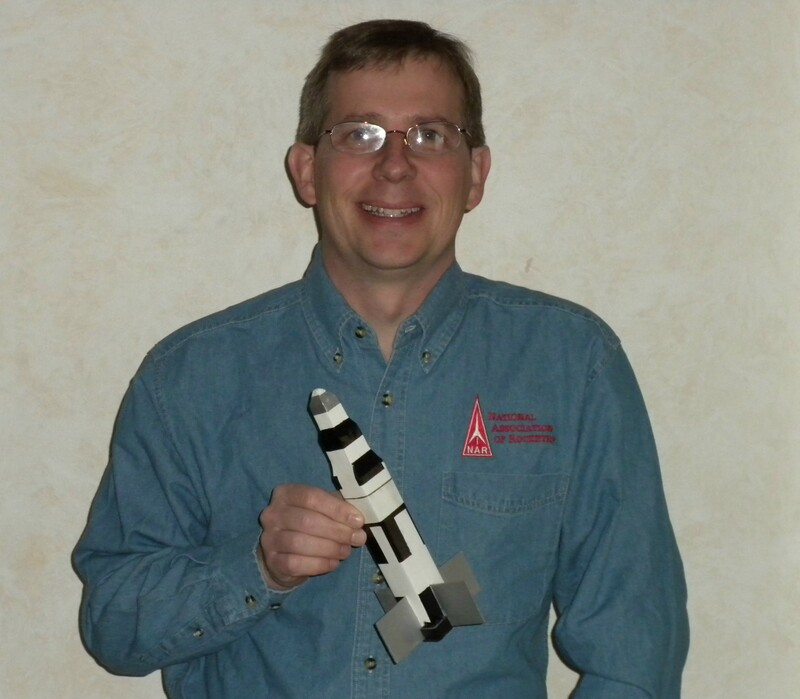 Expert modeler Kerry Quinn shows off his kit-bashing skills with this 'Saturn IV', 'Tri-fighter' and 'X-Wing'. Sweet! 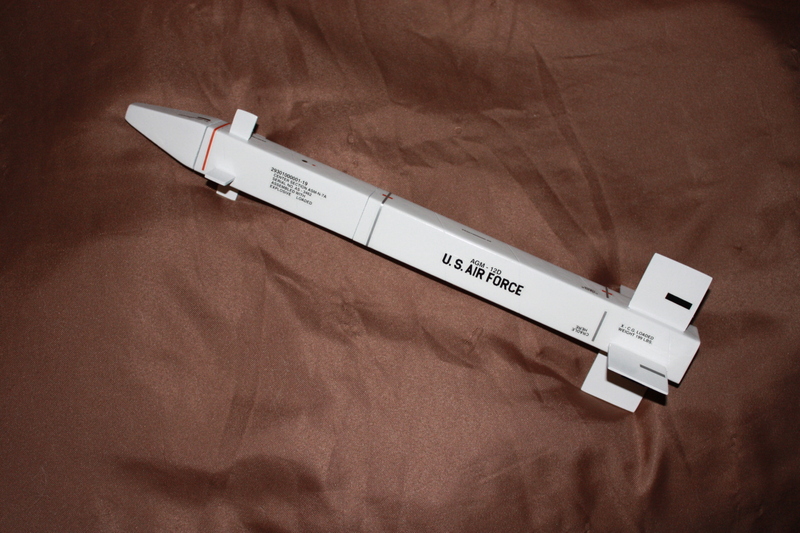 he'd posted a photo on EMRR's Model Rocket Review before we even got home! 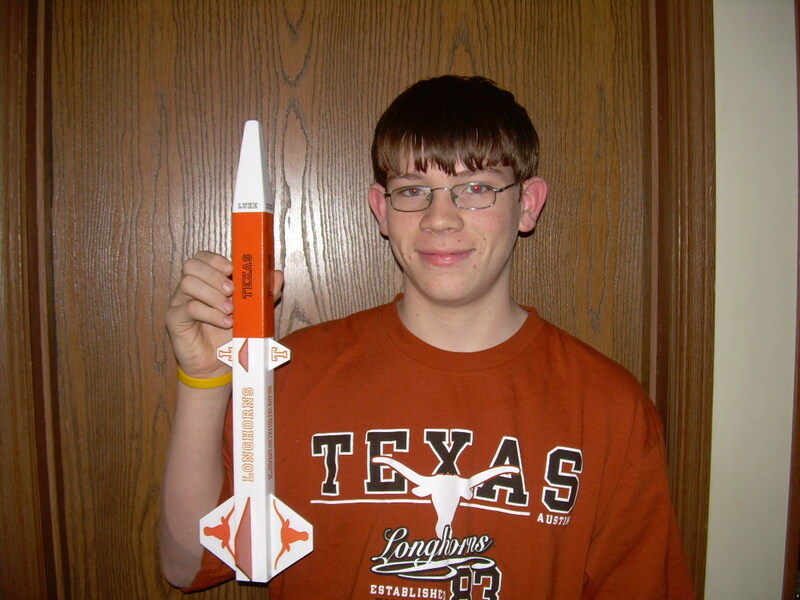 Not too sure how an Indiana boy grows up as a Longhorn fan, but I sure like that rocket! 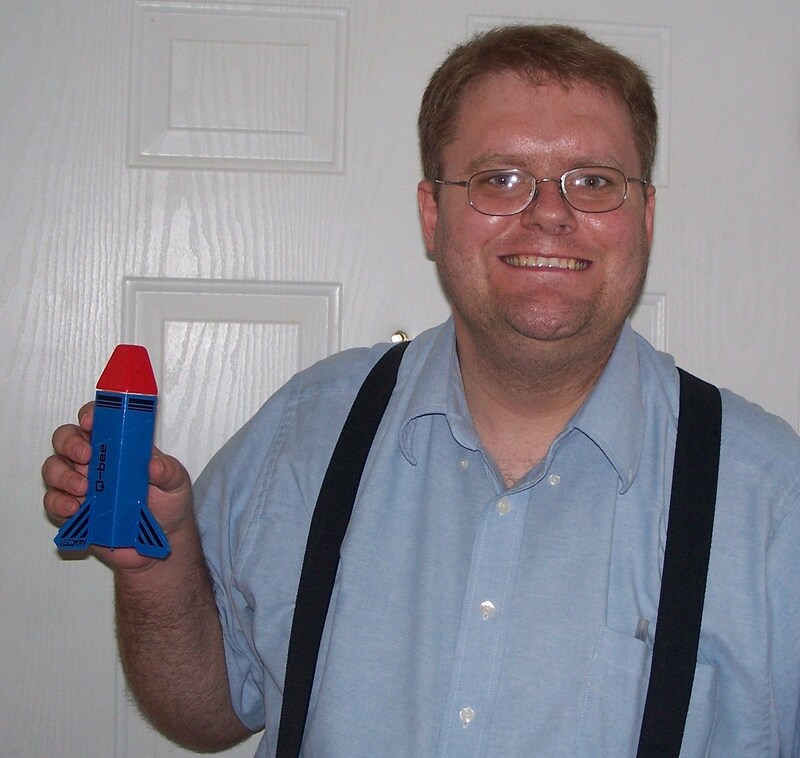 This is Luke Randol - the inspiration for the whole square rocket idea! Go Horns! 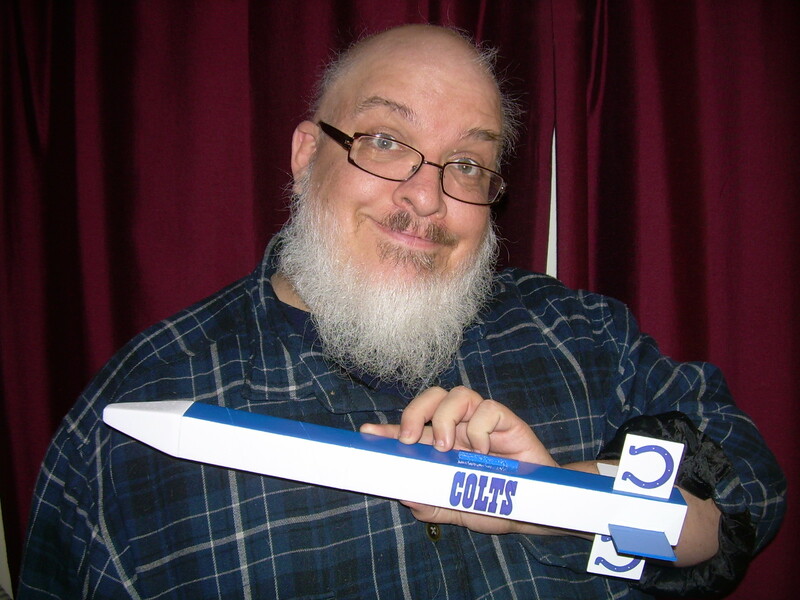 Here's Kirk Fields (Luke's godfather) with his Indianapolis Colts inspired SquareOne design. We like it... a lot! 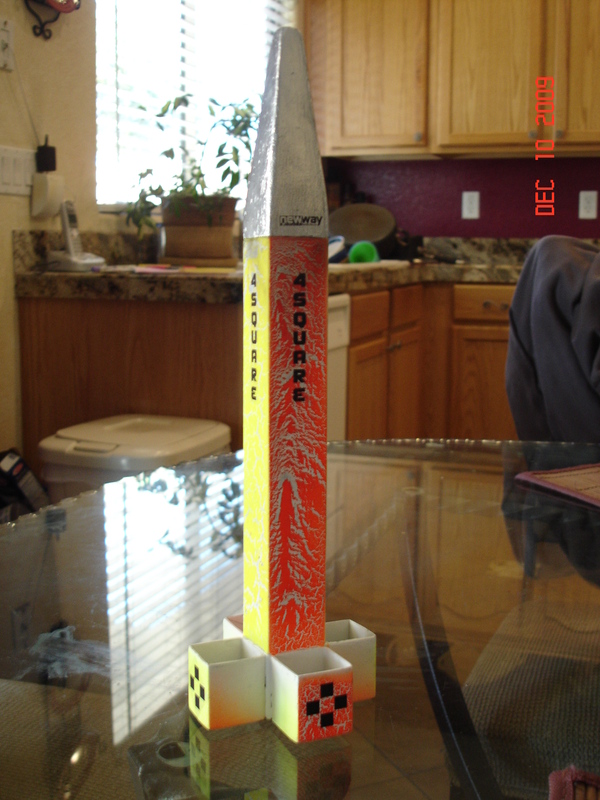 Kim Nelson, one our customers from out West, sent us this photo of an orange and yellow 4Square. That crackled finish may not have been what he wanted, but we like the way it turned out. 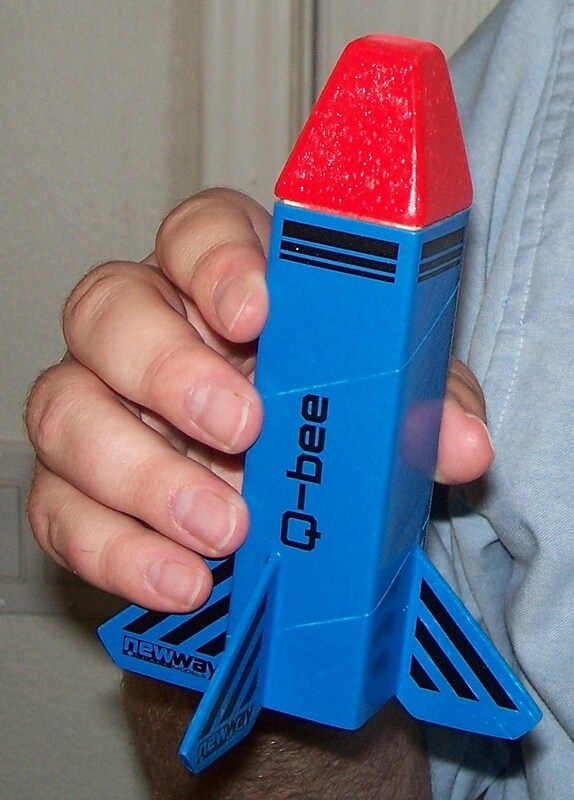 David Boyce sent us these photos of his new Q-bee. Looks good! 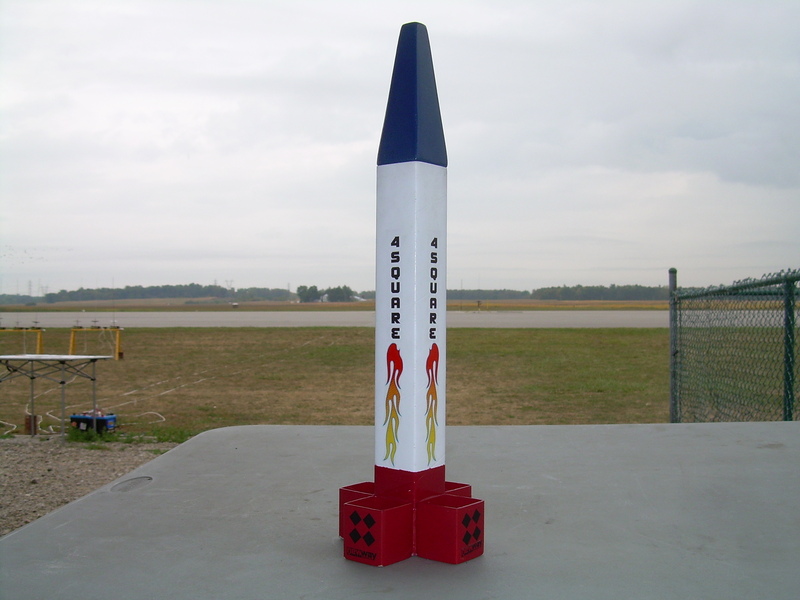 This is Kenan Pomeroy's Mark 4 Plus. 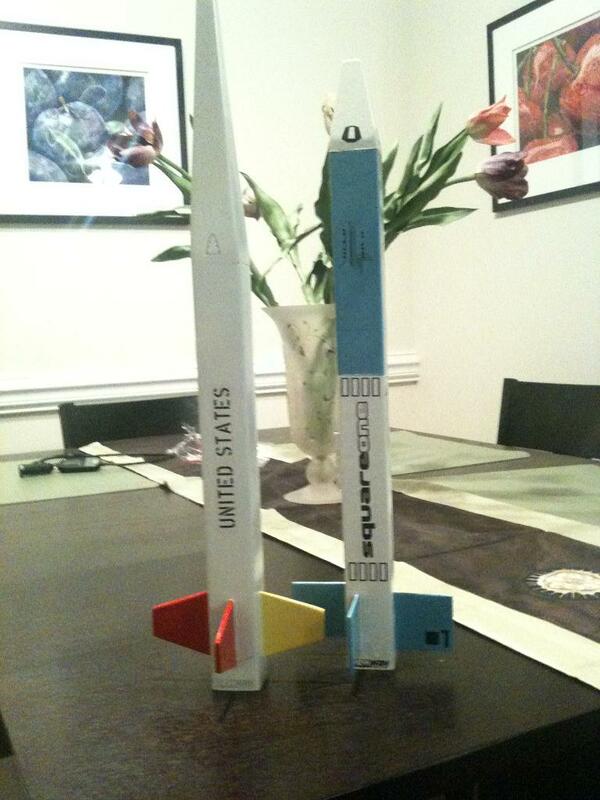 The red, white and blue design is awesome! 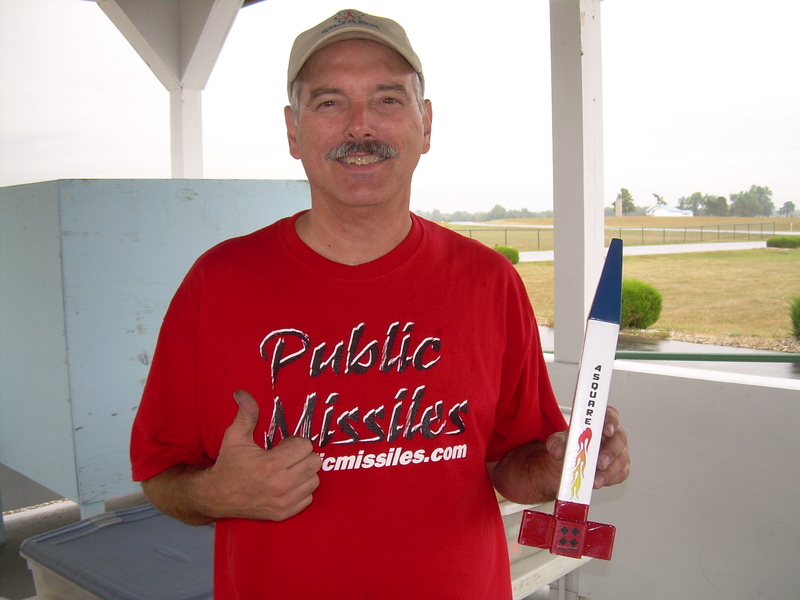 Five new builds by Andrew Rapley from Duncan, South Carolina. Nice Job, Andrew! 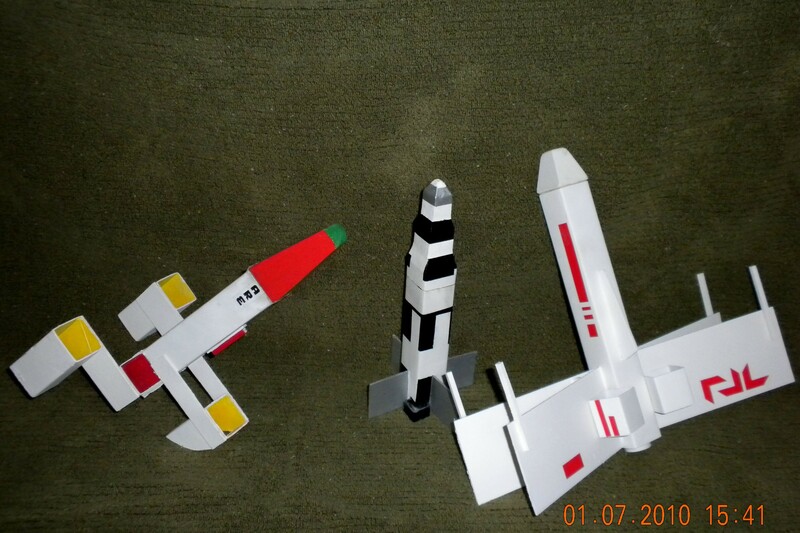 I think he had them built and painted before we got the delivery confirmation from UPS!